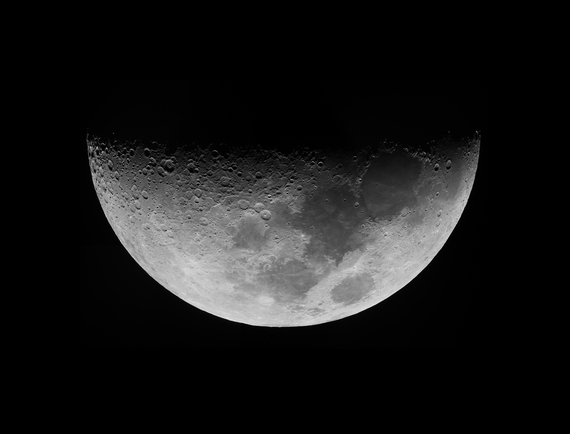 Rick shot this image on a windy night with moments of excellent seeing as shown by the use of only four frames for this mosaic of the waxing Moon. These 4 Ha images were good enough to make Sky and Telescope in June 2006. Used with permission, No reproduction of these images are permitted without written approval from SSRO Published.